While many car accidents occur when an at-fault driver comes into physical contact with another vehicle, a person, or property, there are also accidents incited by a vehicle without physical contact. In these cases, we refer to that vehicle as a “phantom vehicle.” For example, if another driver’s actions cause you to respond in a defensive manner, you may end up damaging your own car or injuring yourself. Although the other driver’s vehicle didn’t actually come into physical contact with your own, the driver should still be held responsible for the damage their actions caused. It can be confusing to determine the next steps after you’ve been in a phantom vehicle accident. How do you file a claim against a driver whose vehicle didn’t directly impact your own? It’s challenging to file a claim if the vehicle in question has left the scene. Having additional information like the license plate or a witness statement, however, can be helpful. If you suffer from an injury as the result of a phantom vehicle accident in which the other driver cannot be identified, there are some other potential solutions. For example, UM/UIM coverage can in some circumstances cover the damages you’ve suffered. One of the most important things you can do following a phantom vehicle accident is to report it immediately. The more documentation you have, especially from authoritative sources like the police department, the better. It’s also more likely that you’ll procure useful witness statements if you report the accident as soon as possible. In addition to reporting the accident to your local law enforcement agencies, you should report it to your insurance company as quickly as possible. That’s especially true if a negligent driver forced you off the road without contact between your vehicles. You may feel helpless or even hopeless in the event of a phantom vehicle accident, but a qualified and experienced Colorado Springs attorney can help. For example, one of our own clients was traveling on US Highway 24 through Park County, CO, driving a Nissan Pathfinder. She was wearing proper restraints and was accompanied by her daughter-in-law. Another vehicle entered the highway traveling the opposite direction, in her lane, going the wrong way. She had no choice but to swerve in order to avoid a head-on collision. When she regained consciousness in a Colorado Springs hospital, she remembers nothing after swerving. The phantom vehicle did not stop at the scene of the accident. Despite concerted attempts to locate the driver, the responsible party was never found. However, Rector Law Firm was able to make an uninsured claim with the client’s insurer and secure a $250,000 settlement. 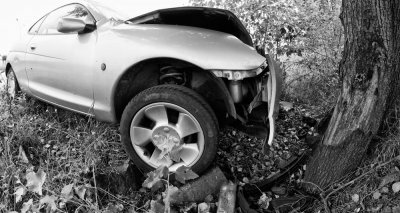 The most important thing you can do in the event of a phantom auto accident is to document as much as you can, and retain a Colorado lawyer experienced with these types of cases. Contact us today for a consultation if you’ve been in a phantom car crash.